The Zora Neale Hurston Festival is underway in historic Eatonville and will continue through Sunday, Feb. 1. In its 26th year, the festival, based on the theme “Rhythms of the Diaspora,” will include a mix of music, including Gospel, Caribbean music and Latin American rhythms throughout the festival, according to organizers. 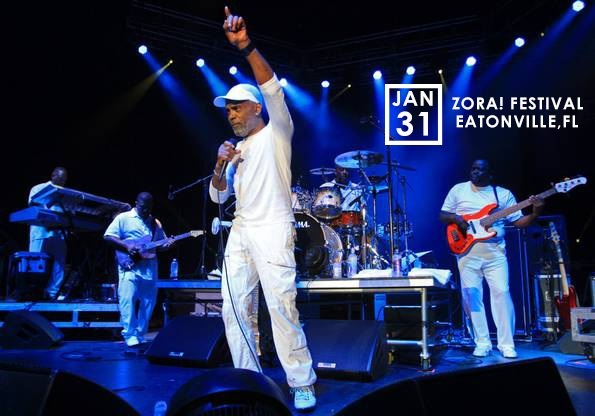 Maze featuring Frankie Beverly will play at the outdoor festival along Kennedy Boulevard, on Saturday at 3 p.m. Jazz artist Najee will perform on Sunday. Other activities include: a two-day small town preservation conference, HATitude Party and African folklore. If you live in Central Florida and you’ve never attended the festival, you should consider it. For ticket information and details on the event go to the website: http://www.zorafestival.org.